6 months full-time in the classroom (residential) and 4-5 months of part-time self-study at home. 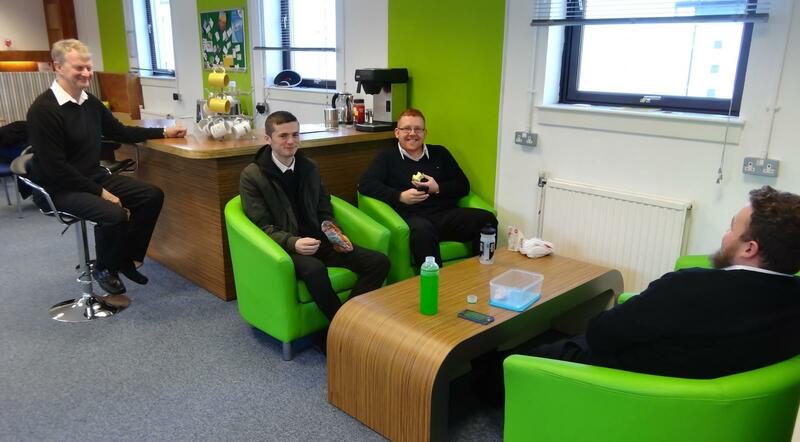 5 Modules – 5 Revision Weeks at Rosyth (3 days residential). 5 exam sessions of 3 exams. See "Year Planner" in "Enrol Now" and "FAQ" sections of website for full details and start dates. 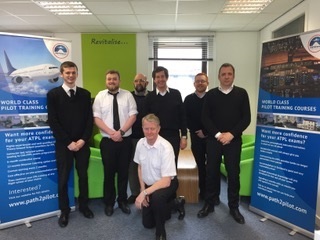 Instructor-led and personalised tuition is what we do outstandingly well and a Residential course is the highly recommended path for those with little prior knowledge of commercial aviation. It is essential to have a very good grasp of the complex theory to properly prepare you for the flying training phases and later your career as an airline or commercial pilot. Moreover, EASA are in the process of introducing several thousand new questions to their exam database and consequently it will become increasingly important for the candidate to have the thorough grounding in theoretical knowledge subjects that only a quality residential ground school can provide. A one-week (residential) brush up is given immediately before taking each session of ATPL exams at the end of each Module. Please note that it is CAA requirement that all 14 exams are passed within an 18-month period in no more than 6 exam sessions. So why choose Pathway (path2pilot.com)? In a nutshell - better results for you. In this highly competitive industry, our well-proven theory courses will give you the most solid foundation for the CAA exams, the expensive flying phases and your airline recruitment interviews. Lack of understanding will be exposed and may lead to slow progress, exams failures and repetition of flight tests. Building intensively and progressively, our course will give you the best chance of passing the necessary CAA ATPL exams with high marks as our excellent track record demonstrates. Our instructors and material are high quality and second to none, your tuition is personalised and overall cost competitive. Being in the classroom for revision weeks, morning lectures and afternoon tutorials/practice questions enables you to focus on the essentials from the huge volume of information presented in the syllabus. You take the exams progressively to spread the load. Airlines recruiting look closely at all exam/flight test reports and look for good results, so give yourself the best possible start. For the 6 months of full-time study, you will have morning lectures and afternoon tutorials / practice and exam papers every weekday from 0900 to 1630 in the classroom with hourly breaks. The subject instructors will explain each Padpilot chapter that you can follow in class and study later on your iPad/Macbook. Instructors will lead the daily activity and be available all day to answer your questions or give extra tuition when needed. There is a very comfortable break-out area with hot drinks and 2 kitchens available all day, in the evening and at weekends for group or individual study. Good value accommodation is not included in the price but is available within walking distance and in nearby Dunfermline, a short bus/cycle ride away. See FAQs for details and links to local accomodation websites. Full details of the 5 Module subjects and scheduled Residential teaching dates for each subject are given on the "Enrol Now" page under "Year Planner"